We are very excited to announce the 8th Annual Strengthening Local Economies Everywhere (SLEE) dinner. Every year dozens of volunteers help organize this important awareness-raising event for CAGJ. 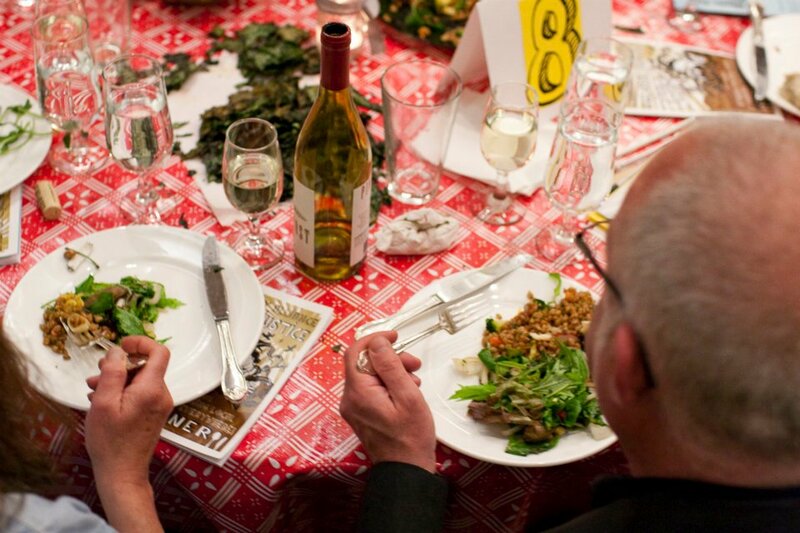 We bring together over 300 farmers, food workers and activists for a dinner featuring the Pacific Northwest’s amazing bounty of food and Fair Trade ingredients. We invite a leader from the food justice movement as a keynote speaker to inspire us to take action. The funds we raise are central to our organizing efforts, and the fun we have organizing it develops new CAGJ leaders every year. Join the fun! Are you are interested in volunteering or helping coordinate the event? Attend our SLEE 2014 Kick-off to learn about opportunities to get involved! To RSVP or for more information, contact Danielle at SLEE@cagj.org.